I cant help but feel that we’ve taken two steps forward and three steps back after reading two very different stories about bike accidents here in California. First of all, 55 year-old Harold Brown finally pleaded guilty yesterday for a 2008 hit and run bike accident that killed 49 year-old Mark Pendleton in Martinez, California. The guilty plea closes the book on a chapter that underscored the dangerous position for cyclists throughout the state. Meanwhile, a suspected drunk driver crashed into a set of 100 cyclists this morning in Los Angeles, leaving 11 hospitalized and one in critical condition. That’s absolutely not the cause for the driver in this morning’s Los Angeles bike accident that has hospitalized nearly a dozen cyclists. The “Midnight Ridazz” bicycle group meets regularly at midnight in Los Angeles’ Koreatown to cycle through the night. But around 2:00 am this morning, the suspected drunk driver hit the group of about 100 cyclists going an estimated 60 miles per hour. “I saw everybody flying towards me. Luckily I didn’t get hit…one of the guys got dragged by the car,” said one rider. The 27 year-old driver has been arrested, but her name has not been released. 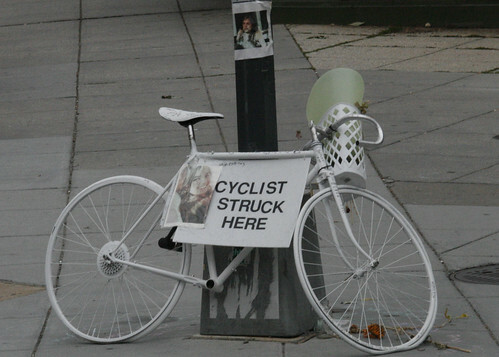 Both accidents emphasize the need for stronger laws to protect cyclists. And to take extra precautions while riding at night, stay in a group, wear reflecting clothing and a helmet, and stay alert for potentially dangerous drivers. That way, we’ll all avoid bike accidents and the lawsuits that follow.